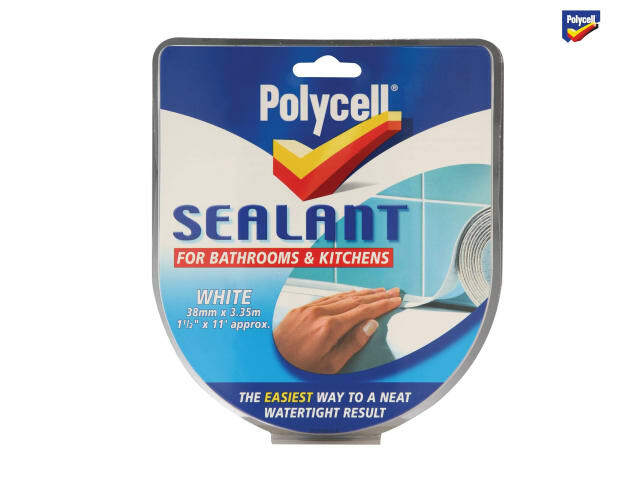 Polycell Sealant Strip Bathroom / Kitchen is a great way to cover imperfections. The strip is flexible, can easily be wiped clean and is a perfect alternative to gun and tube sealants. It is easy to use and produces a neat, watertight result. 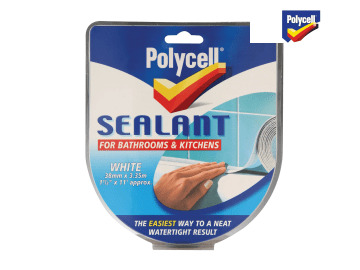 Suitable for: Ceramic tiles, enamel and plastic baths and sinks, porcelain, stainless steel, laminate worktops, painted or varnished wood, gloss and emulsion painted surfaces and glass.